This 5-star review of Nanette ran as part of our Melbourne International Comedy Festival coverage. At its most basic level, a stand-up comedian’s role is to create tension, allow that tension to build, then diffuse it with a punchline. It’s a technique that captivates, surprises and delights audiences; and often, it is used to make social diseases like racism, homophobia and sexism feel less threatening and the perpetrators less powerful. Without cathartic jokes to break tension, topics like these are present, real and dangerous. 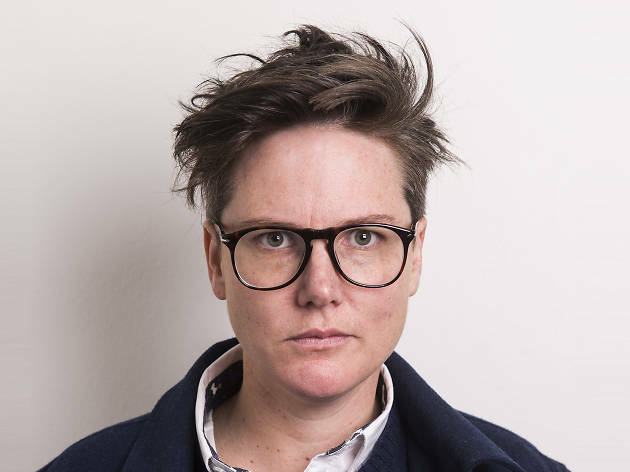 Hannah Gadsby is through with jokes. She’s through with making light of topics that infuriate and upset her, and she’s through with apologising for herself with her trademark self-deprecating humour. Early on in Nanette – the title being a red herring reference to a prickly old barista she encountered in a country town – Gadsby announces that this will be her last show. She’s too angry and jaded for stand-up, and she’s done with tearing herself down for laughs. This time, she’s coming in for the kill. Her target: the heteronormative patriarchy. And more specifically, homophobes who noisily oppose marriage equality and Safe Schools, and in doing so, wreak unspeakable damage on queer children. It’s an environment that she feels is not dissimilar to her formative years in rural, bible-belt Tasmania in the mid-’90s, when the whole state was debating whether to legalise homosexuality. When Gadsby finally moved to the mainland in her early twenties, ravaged by trauma, internalised homophobia and self-loathing, her first stand-up show was about coming out. Ten years on, there’s a real sense that she’s here to finish what she started. The Melbourne-based comedian has built her reputation on material that is cerebral, self-deprecating and honest – all while being incredibly funny. The first act of Nanette sees Gadsby in peak form; a droll turn of phrase or a wry smile is enough to get the audience laughing. She’s an almost disconcertingly skilled storyteller, building confidently on bittersweet stories about her nanna sensibilities (her favourite sound is a teacup settling on a saucer), road-tripping with her mum, and waking up from a nap to find her Facebook post on the plebiscite going viral. But somewhere along the show’s trajectory, something begins to change. Gadsby’s stories become darker. Her tone is less conversational and her words feel as if they're very carefully chosen, like poison arrows. The audience is silent as she bares her pain, her worst memories and the white-hot anger inside of her. To a stunned audience, Gadsby announces that she refuses to break the (nearly unbearable) tension this time; this is a taste of what she’s been living with for her whole life. To say that her command of the audience is masterful feels like an understatement. She stands before the audience as a once-broken woman who has rebuilt herself to be stronger than her oppressors, and ready to fight for a gentler, kinder world. Nanette may be Gadsby’s last stand-up show, but it feels like the beginning of something big. 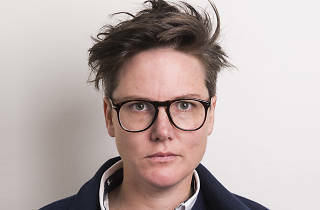 Read an interview with Hannah Gadsby on self-esteem, LGBTQIA rights and quitting stand-up.